Use of the transcervical approach in thoracic surgery has advanced significantly during the past 60 years, owing primarily to advances in technology. Nevertheless, the possibilities of this approach have never been compiled in a systematic way. 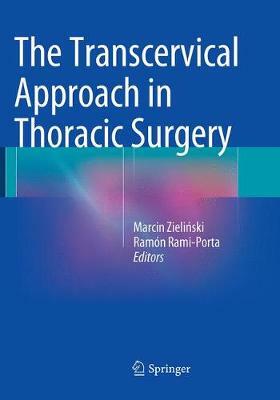 This book aims to rectify the situation by describing, in a structured way, all the thoracic procedures that can be performed using the transcervical approach. Indications and contraindications, surgical techniques, complications, and results are all covered, based on the authors' experience and published reports. The contents encompass diverse surgical endoscopic procedures for diagnosis and staging, use of the transcervical approach for surgery to the thymus and mediastinum, lungs and bronchi, trachea and esophagus and miscellaneous items including the role of robotic surgery.